Spaniard Francisco Ventoso (Movistar) benefited from a final-corner crash which brought down Mark Cavendish and Matt Goss to win stage nine of the Giro in Frosinone this afternoon. Ventoso was too strong for Fabio Felline (Androni-Giocattoli) and RadioShack-Nissan’s Giacomo Nizzolo, but the outcome would have been different had the peloton navigated a sweeping left-hander 350m from the line successfully. Italian Filippo Pozatto appeared to trigger the crash, as he ploughed into points competition leader Matt Goss going into the bend. Both fell heavily, which triggered a domino effect behind. Cavendish was the unfortunate victim, as he was left with nowhere to go as Nikolas Maes (Omega Pharma-QuickStep) and JJ Haedo (Saxo Bank) came down in front of him. 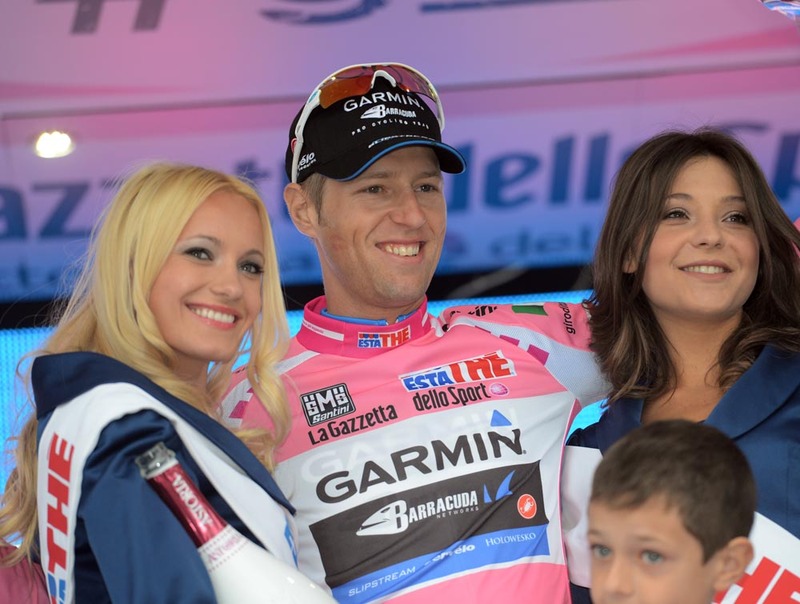 Garmin-Barracuda rode strongly to defend the maglia rosa worn by Canadian Ryder Hesjedal, who himself stayed out of trouble at the finish and crossed the line out of harm’s way in an impressive seventh. GC rival Joaquim Rodriguez had earlier tried to use a tricky run-in to break clear, but his bold move was shortlived. As the race heads towards the mountains once again, Friday’s thirteenth stage from Savona to Cervere is likely to be the last hurrah for the sprinters. 10. Daryl Impey (RSA) Orica-GreenEdge all at st.